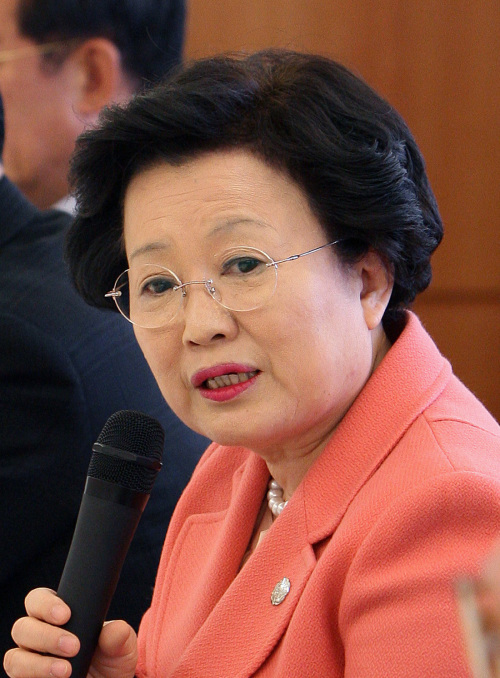 Former Ewha Womans University President Lee Bae-yong on Tuesday was named the new chair of the Presidential Council on Nation Branding. The 63-year-old former aide to President Lee Myung-bak was appointed to the minister-level post to replace Euh Yoon-dae, who had to leave the post after becoming chairman of KB Financial Group Inc. in June. Lee Bae-yong is recognized for strengthening Ewha’s partnerships with prestigious schools in New York, Beijing, Tokyo, London and other cities. The history professor of Ewha is credited with boosting exchange programs for a wider number of students, opening doors to more opportunities for overseas education while she led the university as its president from August 2006 to July this year. Lee is expected to continue the plans set out by Euh to improve Korea’s international reputation, according to the council and presidential office. Observers say the Seoul native faces the challenge of exerting her international relations capability for promoting a successful G20 Summit meeting to be held in the nation’s capital in early November. Her reach is comprehensive, ranging from the general public and dignitaries to influential business executives. The government launched the branding council last January to streamline Korea’s overseas promotion activities and boost the country’s image abroad on a comprehensive scale, including cultural programs and products. Lee, who had served as a policy advisor in early 2008 to then-President-elect Lee, graduated from Ewha in 1969. She earned her doctorate degree in Korean history at Sogang University in 1984 and became a professor at Ewha in 1985.